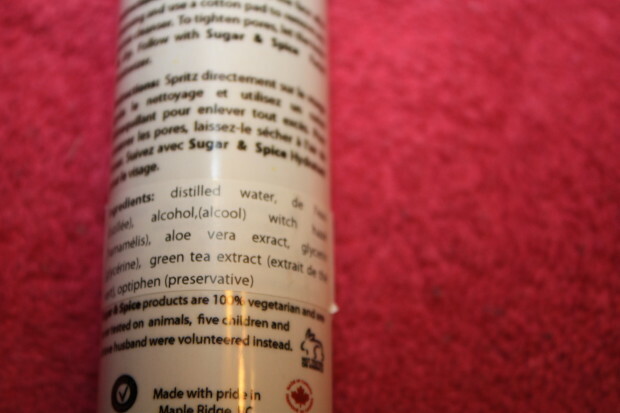 This review is from the company Sugar & Spice Bath and Bodycare. She is located in Maple Ridge, BC and handcrafts all of her own products from other local businesses. Her suppliers are within range of 65km of Maple Ridge. It’s about 3 products, 2 being for dry skin and 1 for all skin types. 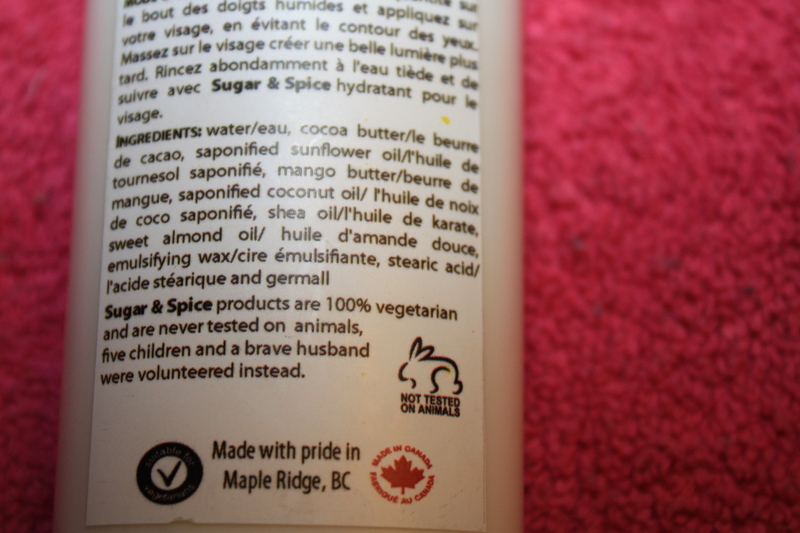 None of her products have hidden surfactants, petroleum or animal ingredients. What a genuine and HarD working company. I had met Crystal the founder and owner of Sugar & Spice Bath and Bodycare at the Women’s Expo at the end of February. 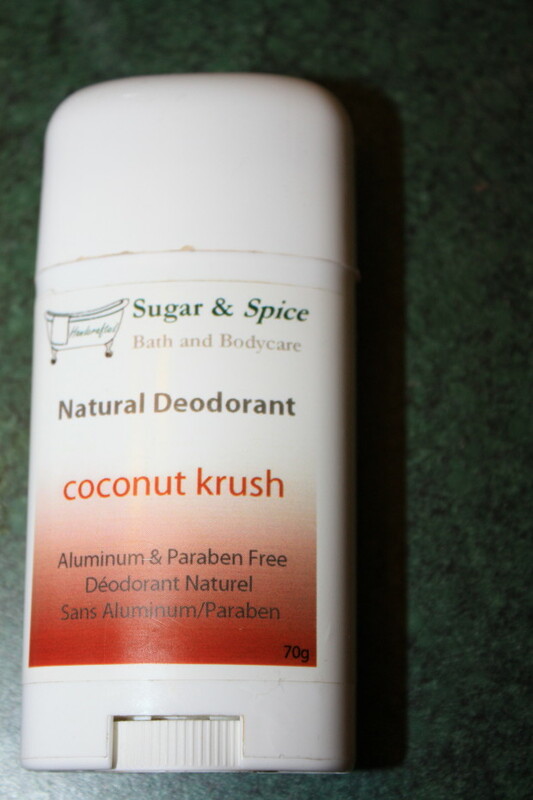 I had already used one of her products ( the natural deodorant purchased at Coopers ) I had been on a hunt for the most natural, with no synthetically formed ingredients. I must say i was disappointed at the lack of selection that we have these days!!! I bought the Coconut Krush and I will forever be repurchasing this gem! It smells delish, it isn’t chalky and doesn’t leave a white mark either. The protection from sweating isn’t the strongest but for the amount of natural ingredients I think it holds up pretty well. This deoderant comes like the normal twist up style, there are other scents that compliment the rest of the product line. Sugar Scrubs, Deodorants, Body Washes, Skincare and much more! Sugar and Spice has helped me out tremendously with my dry, stressed out skin. Recently being on a heavy duty medication for my acne prone skin, Crystal said I must try the two products out for DRY SKIN. Nothing but goodness in this cleanser from butters to oils to comfort, emulsifying wax to create a moisturizing barrier for after it has been rinsed off. My skin felt so nice the first time i used the two together. The creamy cleanser lathers very gentle and mild and has no scent to make my skin suffer either! It says to avoid the eye area, a few times i have used it to remove my eye makeup just as long as i keep my eyes tightly shut while washing and rinsing. It removes my mineral makeup quite nicely as well. I gave 5 stars to the creamy foaming cleanser because i use just the smallest amount. After i wash my face I put on the facial toner which is meant for dry skin.With witch hazel, aloe and green tea ( hence the coloring ) It still has a small amount of alcohol but still gives me that Cleaning/Reshreshing feeling I am used to loving with Oilier skin typed products. I did have minor uncomfortable if i wait to spritz it on after i’m out of the shower. I use it now in the shower as i’m drying off. 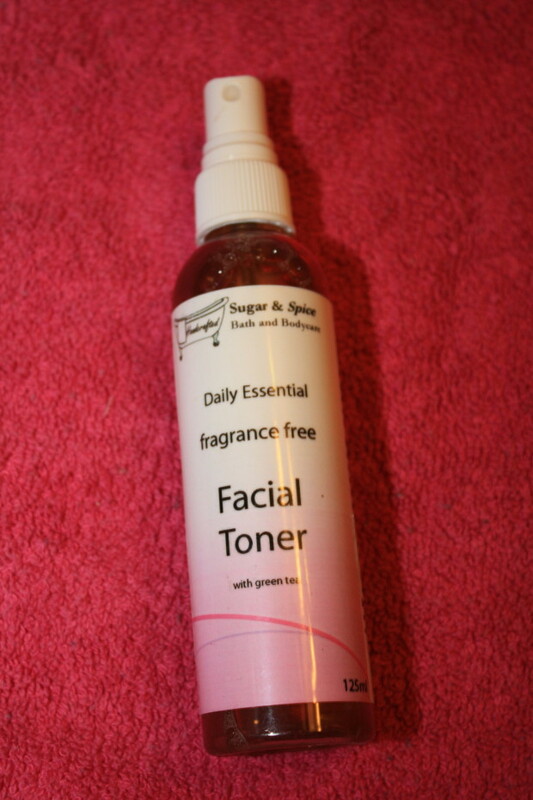 I gave 3 stars for the facial toner but I will be using it to the end. Things are great for my skin thanks to Sugar & Spice Bath and Bodycare besides that I have to slather on the SPF on my face constantly and dealing with exfoliation like never before. My accessory selection has expanded and now im always on a lookout for hats and large sunglasses to avoid the sun.